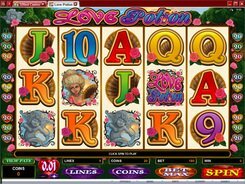 Love Potion is a romantic 5-reel 9-payline slot released by Microgaming. 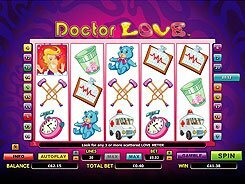 The game features beautifully detailed graphics, eye-catching animations, and flowers everywhere in the background image, around the reels set, and on the symbols. A coin range is $0.01 to $0.25, with a maximum of 20 coins accepted per line. Therefore, the top bet amounts to $45 per spin. 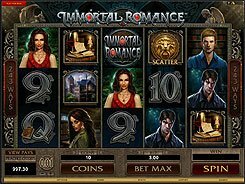 The slot has a wild, a scatter, free spins and a bonus round. 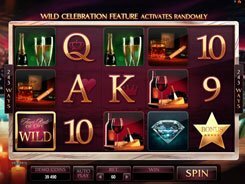 The top prize worth your line bet at x2500 a multiplier is awarded for matching five Love Potion logos (they are wilds) across an active payline. The second-largest reward (x1500) is paid out for five Lady symbols. 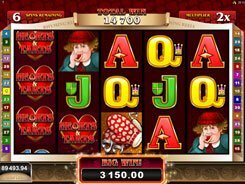 Along with benefiting from 10 free spins at a x5 multiplier, you may enjoy the Love Struck Bonus activated by two or more Red Potion symbols. On the second screen, you have to make a few picks from six gentlemen, with each selection awarding a cash prize. The amount of picks is determined by the number of Bonus symbols that have triggered the feature. PLAY FOR REAL MONEY!